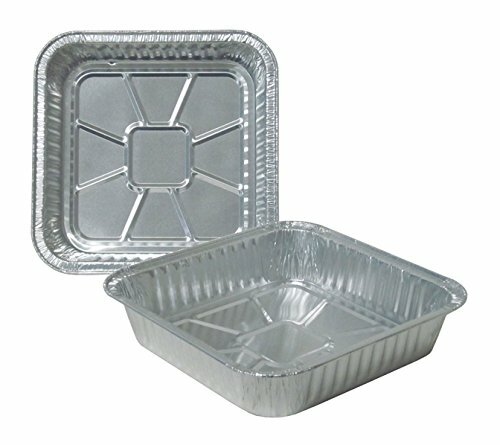 Durable Packaging 9-Inch Square Cake Pan (pack of 500). 100% recyclable. Disposable bakeware makes clean up easy, no mess! 1-7/16-inch deep. Measures 9-1/16-inch round at top and 7-7/8-inch round at base. Made in the USA. Disposable bake ware makes clean up easy, no mess!